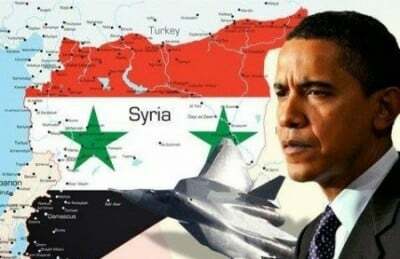 In what is more proof that the NATO operation against Syrian President Bashar al-Assad is merely Libya 2.0, the Obama administration is now stating that it is open to the possibility of establishing a “no-fly zone” over Syria. The statements, made by both Secretary of Defense Chuck Hagel and General Martin E. Dempsey, are supposed to hinge upon an agreement with Turkey, that is itself calling for a “buffer zone,” one of the wishes of NATO since the very beginning of the Syrian crisis. A “buffer zone” and/or a “no-fly zone,” of course, is tantamount to war and an open military assault against the sovereign secular government of Syria since the implementation of such a zone would require airstrikes against Assad’s air defense systems. Turkey is now whining and groaning over an influx of Syrian refugees as a result of a humanitarian crisis that it helped create with its support and facilitation of Islamic fundamentalist death squad forces funded by the West and allowed to travel into Syria through Turkey’s borders. The most recent influx of refugees came from the city of Kobani, where ISIS fighters were herded by American airstrikes for the purposes of reinforcing the fighters already battling Kurdish and Syrian forces there. Keep in mind that with the terrorists evacuating Deir al-Zor, cities and towns such as Kobani (Ayn El Arab) have seen a dramatic rise in the presence of IS fighters. In short, IS may have reduced the amount of fighters in Deir al-Zor but it reinforced its positions at Ayn El Arab, a smaller town but one located on the Turkish border. Significantly, the Turkish border has facilitated tens of thousands of death squad fighters in their access to Syria over the last four years making it a main artery for the influx of Western-backed foreign jihadis into Syria. Thus, the new assault on Ayn El Arab might very well be an attempt to re-secure and reopen the Turkish/Syrian border so as to allow even greater numbers of IS fighters and military equipment to flood into Syria. In order for NATO forces to effectively remove Assad, who has proven a major hurdle for the Anglo-American establishment in its efforts to overthrow him and further their geopolitical goals ofweakening Russia’s strategic position and influence, NATO forces absolutely must eliminate his air defenses. However, even the United States has admitted that doing so is risky business. For that reason, the West used its ISIS proxy forces to destroy the Taqba air base in eastern Syria so as to open up half of the country to US military assault. For those who may not see the pattern – while the United States and NATO deliberated engaging in targeted airstrikes in Syria and the Syrian government subsequently states its opposition to those attacks and its intentions to shoot down the planes delivering those strikes if they did not coordinate with the Syrian government, death squad have effectively eliminated the air defense capability of the Syrian government in the east of the country. After all, the Pentagon even stated that one of the biggest threatsto an airstrike operation in Syria is the Syrian government’s air defenses. Thanks to ISIS, those air defenses no longer exist in the east of Syria. Even the airstrikes taking place currently under the guise of eliminating ISIS have a much darker motive. Although it is true that ISIS/ “moderate death squads” had seized control over the oil refineries in Eastern Syria and were using them for their own strategic purposes (with the help of NATO command), it is also true that, in a large portion of these areas, the SAA (Syrian Arab Army) was poised to retake control. This is particularly the case in Dayr el Zor, where the SAA had recently launched a major offensiveagainst the death squads causing ISIS fighters trapped by aerial bombardment and escape routes cut off by the SAA. In other words, the death squads were trapped in Dayr el Zor, the city was weeks away from being liberated, and the surrounding areas were set to be reconquered by the SAA. This, of course, would have led directly to the retaking of the oil refineries by the Syrian government. Unfortunately, that opportunity has now been lost as a result of the U.S. airstrikes which destroyed the refinery infrastructure. Thus, as SAA forces moved in to retake control of the oil refineries managed by terrorists funded by Western powers, the United States initiated airstrikes just in the nick of time to deprive SAA forces of the opportunity to seize some of the oil refinery infrastructure it desperately needs. It is also important to note that virtually none of the infrastructure being destroyed by the United States airstrikes was built by ISIS. It was built by the Syrian government. The reality of the bombing campaign is that the United States and its allies are destroying important regions of Syria and leaving nothing of real value for the Syrian military to retake after its long-fought battles against ISIS. Still, one should keep in mind that it is not only the oil refineries which are being targeted but whole neighborhoods filled with civilians. One such neighborhood was the town of Kfar Daryan. It also goes some distance in aiding the future creation of a “buffer zone,” in Northern Syria, a wish of NATO since the beginning of the Syrian crisis.With the establishment of this “buffer zone,” a new staging ground will be opened that allows terrorists such as ISIS and others the ability to conduct attacks even deeper inside Syria. For those of us who have tried to warn of and prevent a direct military intervention in Syria, we must now continue to keep the Syrian people in our thoughts and prayers. But we must also keep the United States in those thoughts and prayers. Like in Libya, for what is being done in our name, we are earning some terrible karmic consequences. The United States has sown some very bitter seeds in recent years. Unfortunately, there will be a day when we all are forced to reap the bitter harvest.